Minicamping 't Haasje is a campsite in Grashoek, Limburg, located in a wood.The campsite has pitches without shade and pitches with some shade. It is possible to rent mobile homes. 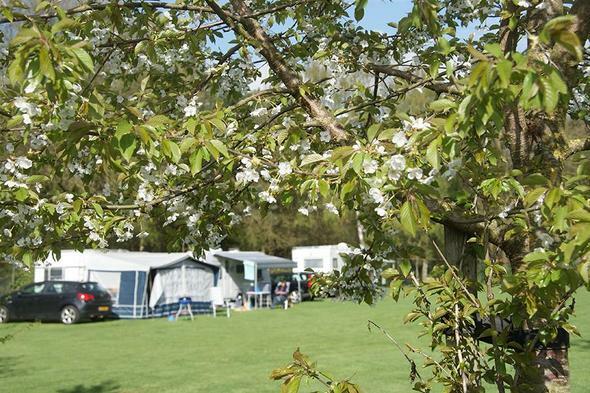 This inspector visits Minicamping 't Haasje every year and inspects the campsite on the basis of more than 200 amenities and other points of interest. The inspector is an ACSI staff member and does not work for the campsite. Would you like to book Minicamping 't Haasje or request more information? You can do both using the information below or by visiting the campsite's website. ACSI Eurocampings will send your information request to "Minicamping 't Haasje". Located between natural areas and the river Maas, a great place for your dog. Where you will be woken by birds and where squirrels are your fellow guests. 15 pitches that can be divided depending on the number of guests. Walking and cycling routes, breakfast- and fresh bread service and free wifi.